The race is on to develop a highly-advanced medical diagnosis device like that seen on Star Trek. Star Trek's tricorders are wondrous devices that can do anything from detecting radiation to determining the cause of death of a red shirt. The X Prize Foundation, a non-profit organization dedicated to advancing humanity through radical breakthroughs fostered by competition, has announced that it wants the medical version of a tricorder to exist someday, and is therefore offering $10 million for it. Previous X Prize competitions have challenged private entities to develop spaceflight vehicles, oil cleanup methods, and advanced genome sequencing techniques. 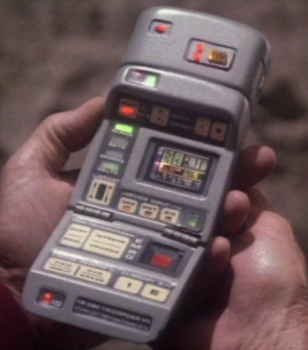 The latest, dubbed the Tricorder X Prize, will reward $10 million to a team that can develop a "mobile solution that can diagnose patients better than or equal to a panel of board certified physicians." In other words, a form of medical tricorder that can accurately diagnose the sick and injured. Such a device is predicted to arise from "combining advancements in expert systems and medical point of care data such as wireless sensors, advancements in medical imaging and microfluidics," a press release states. If someone owns one of these "mobile solutions," they'll be able to diagnose themselves quickly should an emergency arise, easily determining whether professional help is necessary. Giving the general population access to a mass of accurate health-related information could not only help save lives, but ease the burden on healthcare systems around the world. It'd be much less worry-inducing than googling for "bump on toe" and being scared into thinking you have scarlet fever, that's for sure.